Last Tuesday evening saw a group of Dave Humphreys's friends finally (at the 3rd attempt!) 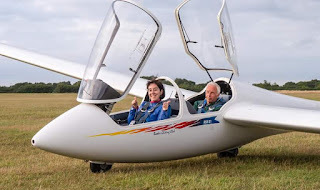 get to try out gliding. 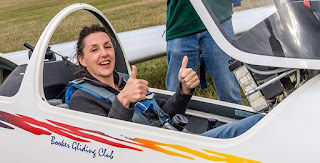 Christina (the helicopter pilot) looking forward to her first glider flight. Elisa about to fly with Graham. 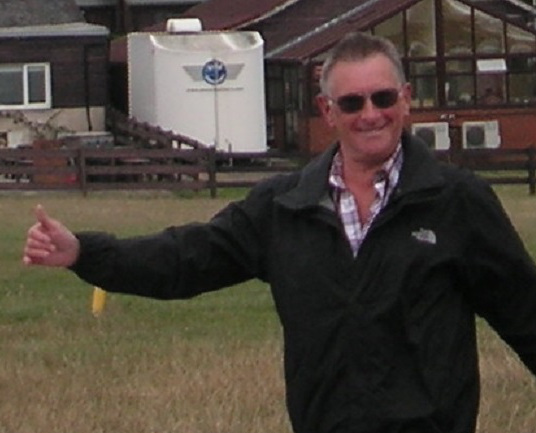 Hugh looking relaxed before his flight. 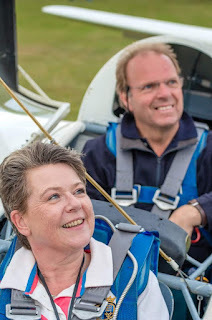 Highlight of the evening was Trish insisting that Graham showed her some aerobatics. 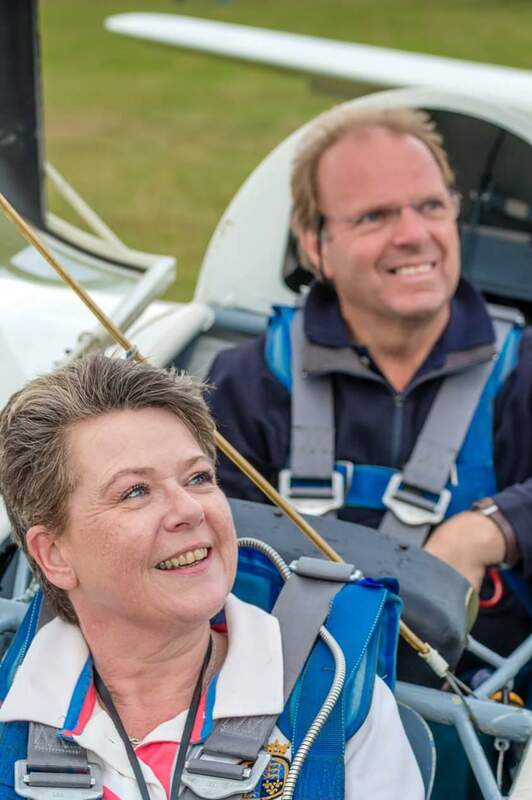 Her hands were still shaking with adrenaline 5 minutes after she had landed! A fantastic evening was rounded off at the Grouse & Ale. Many thanks to Chris and Graham for flying with everyone. Yesterday the Marketing Team went for a 4th time to the Wycombe Community Festival on the Rye, where our stand was the central attraction in the middle of the field. We were kept busy all day with visitors - the queue of children and adults waiting to sit in the Junior was longer than the queue for the beer tent. 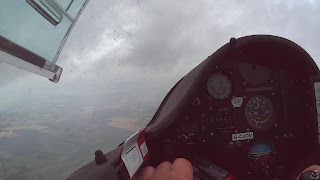 Gliding is a mystery to most people as we are usually high in the sky, so it was good to be able to show them what a glider looks like and explain the various aspects of gliding - cross country racing, expeditions, aeros, wave etc etc. Many thanks to the team - Chris, Hedda, Hugh, Jeremy, Simon P, Rob T and Rob G - for giving up their day to promote the club. 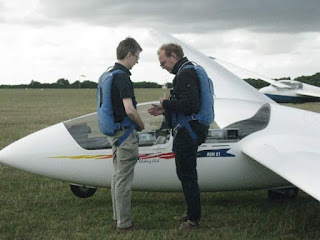 Earlier this year CFI Richard and a number of our senior instructors went to Benson to explain gliding to the RAF and other GA reps, and to learn about how the base operated. They came back with plenty of useful tips about staying safe while flying near Benson which were reported in the April edition of the newsletter. 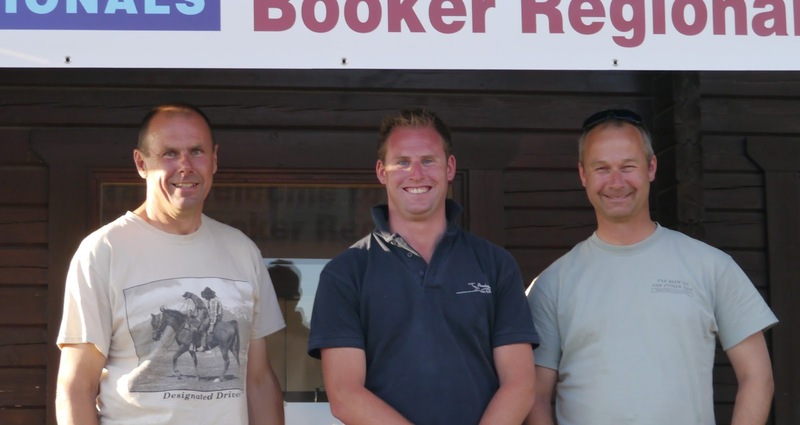 As a result of this meeting, Richard was invited to visit White Waltham to talk to the power pilots there, and a large number of them expressed an interest in coming to Booker to find out 'how the other half lives'. On 9 July we hosted a group of about 20 power pilots from White Waltham and Denham with experience ranging from pre-solo to airline pilot. They were given the opportunity to try general flying in a K13, aerobatics in the K21 and a taster of cross country in the Duo Discus. "Fantastic, I wish I'd done this 50 years ago." "It's been a super day, quite an eye-opener." "Best fun you can have with your clothes on." 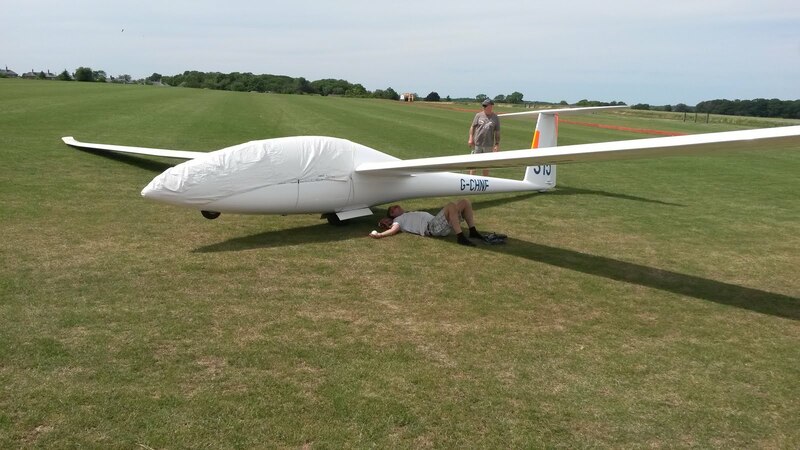 Yesterday a few more pilots who had been unable to join the first trip came along, they all had a great time, and commented how valuable it was to have a better idea of how gliders fly and operate - they don't just cluster round gliding sites! Adding colour to the day were Graham's Lunak and Robin's Jaskolka, putting all those plain white gliders in the shade. 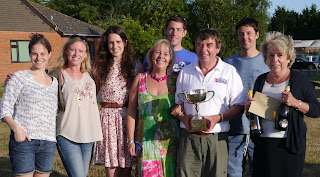 A few more photos from the prize giving today. 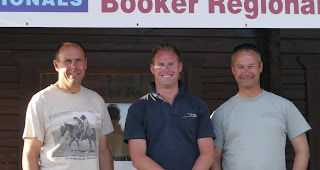 In his speech Denis thanked all of the helpers; too many to name, but here are pics of some of the team, thanks also to Graham Morfey for control and Bob Sinden for cheerfully helping the competitors to grid each day. Denis and the Campbell family. Denis Campbell receives the trophy from Comp Director Richard Crockett. Lots of excitement for the last day of the comp. Big showers, dead skies and dark streets dictated the route. Most made it through the first band of showers to the first turnpoint at Calvert Junction then set off south into wind. Some got as far as Newbury trying to get around the dead skies, but eventually gravity won the day. Great co-operation from our friends on the ground at Thame for the four of us that landed there, and fun for the tug pilots doing aerotow retrieves around the showers. 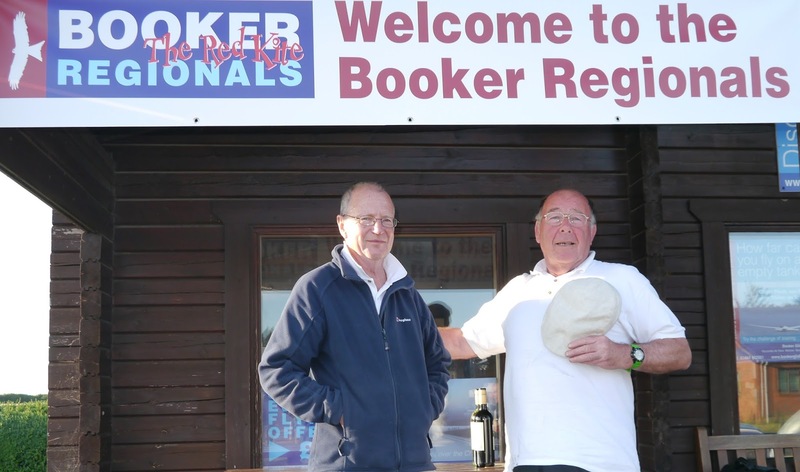 Jim White and Denis Campbell battled it out to win the day with just about equal distance. Wayne Aspland won Third place . Denis has won the comp with Jim in second place. 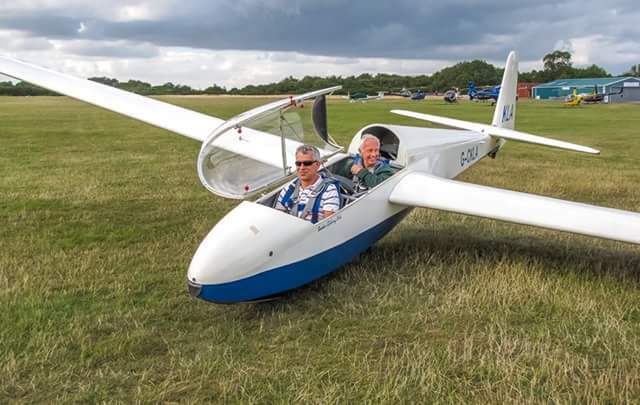 We must also mention Ayala Truelove from Lasham who came third in her Libelle and Stuart Law from Bicester who came fourth in his souped up LS4, Despite flying low handicap gliders they both really put Denis and Jim under pressure. This showed that the Handicap Tasks really do level the playing field. We will all get together again next year and the battle will be repeated. The Met Man's brief indicated that there would be blue thermals but that the day would end early, so the tasks set were relatively short. In the event, the grid fell back to Task B - Abingdon-Olney - 175km. 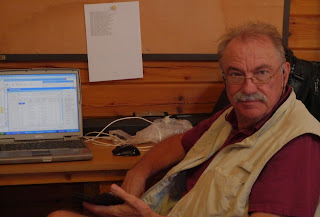 We had 3 people back over the line, the rest acquainted themselves with local fields and airfields, but the retrieves were efficient and most people were soon back at base. 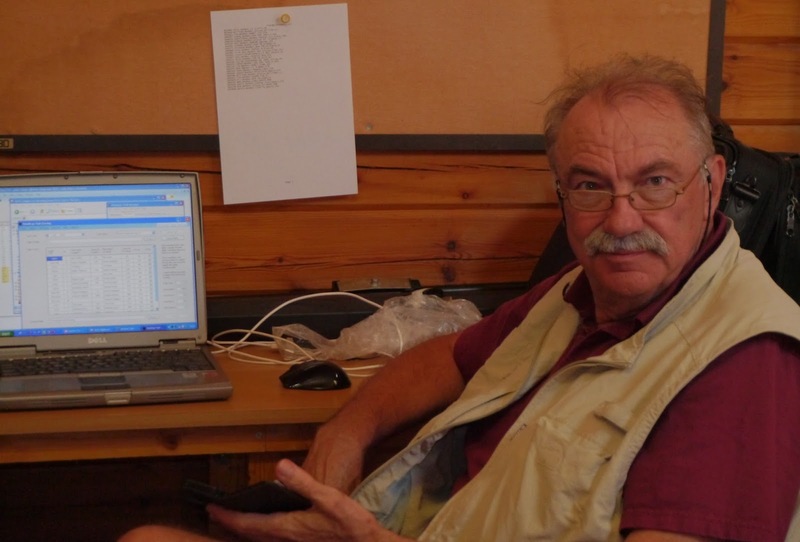 Final results are not yet in, but currently the day winner is Denis (370) followed by Nils (EN) and Jan (161). Check Soaring Spot for up to date results and news. 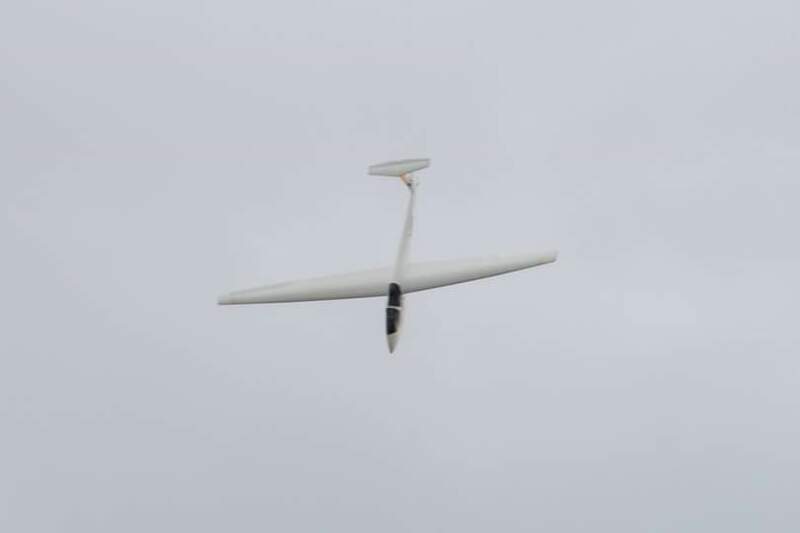 Meanwhile we did a bit of club flying, and after one of the launches we found that the glider had been hanging by a thread. It shows how important it is to check the rope as well as the links when hooking on. 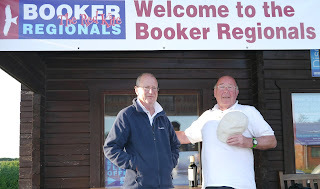 Imagine a Duo Discus, Pierce Brosnan, Rene Russo in The Thomas Crown Affair or a polo field, Richard Gere and Julia Roberts in Pretty Woman - now think of 315 and Booker pilots John Herman and Phil Binney in the Red Kite Regionals, there must be a Hollywood block buster in there somewhere. John and Phil relaxing on the polo field in Stokenchurch after a sucessful landout. You can work out who plays what role! 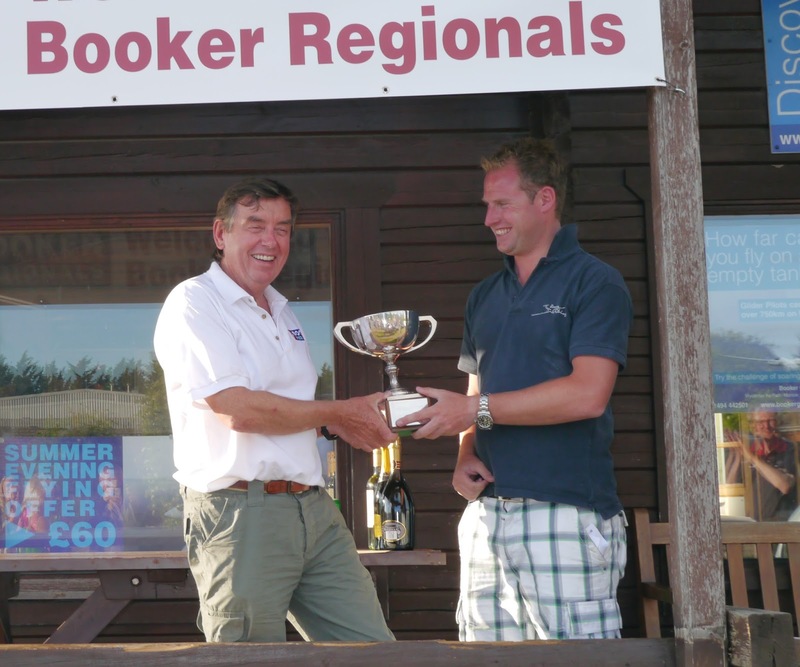 Club members are invited to the Red Kite Regionals Barbeque this Saturday, 4th July. Tickets are £10 a head, food and refreshments included. 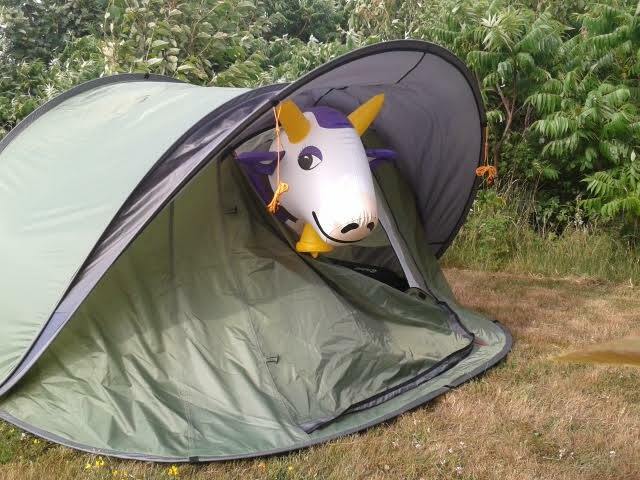 Buy your tickets from the office before 2pm on Saturday, in person or by phone, to make sure there is enough food and drink (beers) to go around. If you would like wine, please bring your own. Members, family and friends all welcome. Yesterday was a bit hot and blue, so the grid eventually launched on a fallback task to Towcester and back. Most competitors made it over the finish line, only a couple of landouts. 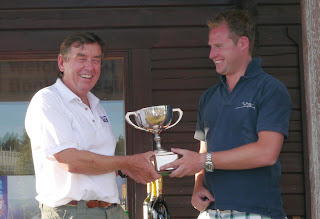 Nick Jennings won the day, with overall leader Stuart Law in 2nd place and Jan McCoshim 3rd. Booker pilots are fighting back!